The following letter, signed by over 80 businesses, industry groups, civil society organizations, and transparency advocates, was sent to Chairman Ron Johnson and Ranking Member Claire McCaskill on the Committee on Homeland Security and Government Affairs in the U.S. Senate and Chairman Chaffetz and Ranking Member Elijah Cummings on the Committee on Oversight and Government Reform in the U.S. House of Representatives, in support of the OPEN Government Data Act. We, the undersigned businesses, industry groups, civil society organizations, and transparency advocates, write to express our strong support for the bipartisan Open, Permanent, Electronic, and Necessary (OPEN) Government Data Act (S. 760). This bill, which unanimously passed the Senate in 2016, would establish a comprehensive policy across the federal government to ensure that government data is accessible to the public by default. In recent years, open data—data that is made freely available to use without restrictions—has proven to be an enormously effective platform for innovation in both the public and private sectors, supporting significant economic value, increasing transparency, efficiency, and accountability in government operations, and powering new tools and services that address some of the country’s most pressing economic and social challenges. The OPEN Government Data Act would require federal agencies to publish government data in machine-readable and open formats and use open licenses. In addition, it would direct agencies to support innovative uses of government data, adopt consistent data practices across government, and develop best practices for open data. 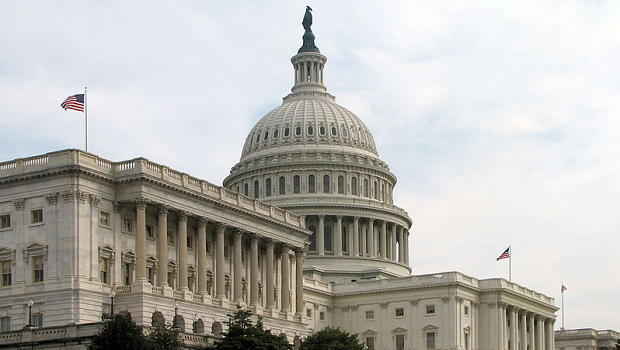 We support the OPEN Government Data Act for several reasons. First and foremost, this legislation would institutionalize the federal government’s commitment to open data and allow the United States to remain a world leader on open data. Second, adopting a policy of open by default for government data would ensure that the value of this public resource would continue to grow as the government unlocks and creates new data sets. Third, a firm commitment to providing open data as a public resource would encourage businesses, non-profits, and others to invest in innovative tools that make use of government data. And, according to the Congressional Budget Office’s review of the 2016 unanimously passed Senate bill, taking these steps would not have a significant impact on agency spending. Given the many benefits of this legislation, as well as the broad industry and public support for open data, we respectfully ask this Congress to take quick and decisive action on this bill.